Mitch Camp has chosen to make a career of what most of us consider a recreational sport. A product of Orrville High School (class of 1976) Camp has won more golf tournaments than most people ever play in. He earned four letters in golf in high school. In 1975, the Orrville team came in fourth in the State tournament, but Camp was the State medalist. This means he shot the lowest score in all three divisions, A, AA, and AAA. He was the captain of the team in his senior year. During his golfing career at OHS, he was chosen All-Coerce (Chippewa) all four years. Camp also lettered three years in wrestling at OHS and was selected one of the Tri-Captains in his senior year. At Ohio State University, Camp earned an additional four letters. In 1979, he tied the course record for the Ohio State Scarlet Course (64), using the championship tees. His team won the NCAA Championship in 1979, won the Big Ten Championship and was fourth in the NCAA in 1980. Also in 1980, Camp was selected second team All-American. He placed third in the National Lefthanders Tournament in 1980. From 1972 through 1991, Camp has won 25 championships, notably the 1982 Buckeye Pro-Am, the 1985 Ohio Open, the 1988 Northern Ohio Assistants, eight second place finishes; and ten finishes better than sixth place. These covered all areas of golf, from the 13-15 years old to that of touring professional. He played as a professional on the tour for two years. From 1984 to 1990, he earned seven consecutive top ten finishes in the Ohio Open. 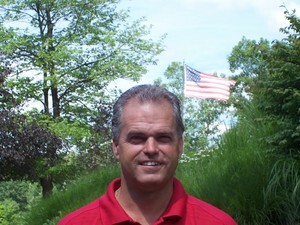 Camp is currently the head golf professional at Walden Golf and Tennis Club in Aurora. He is a charter member of the Orrville High School Sports Hall of Fame.